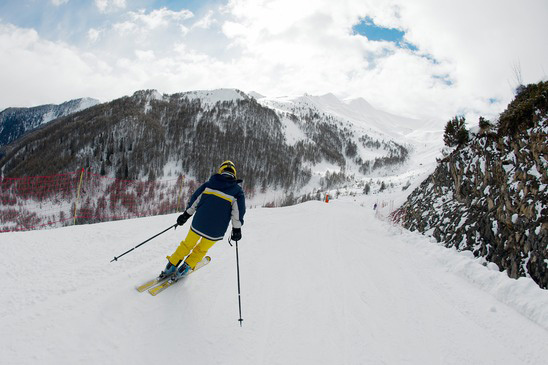 Skiing and snowboarding can be among the most rewarding and exhilarating of leisure sports. Nothing, most enthusiasts agree, compares to the excitement of a controlled glide down a scenic mountain trail, and the rush that crisp, cold air gives your senses. But there’s risks and danger in the thrills. Regardless of your skill level, both of these snow sports make great, sudden demands on your body, stretching muscles and bone systems beyond their normal capacity. And no matter how careful you are, you run the risks of falling, of careening off course into trees, of colliding with other skiers and snowboarders. Statistics bear out the inescapable fact: skiing/snowboarding is among the most dangerous of all leisure sports. Every year, some 600,000 people are injured on the slopes, an average of about two injuries per 1,000 visits. It’s no surprise, then, that chiropractic care is available on medical staffs in every winter Olympics. 1)Pre-Ski Check-up: If you’ve previously suffered from neck, back or arm pain, schedule an office visit with your chiropractor before taking your ski trip. He/she can determine if your muscle-and-bone system is in proper working order if your core alignment is ready for the rigors of the slopes. 2)Tone Up Prior to Your Trip: For two or three weeks prior to your snow holiday, make a point of working out to prepare your body. Work out for about 30 minutes two or three times a week. Concentrate on exercise that stretches and strengthens the calves, quadriceps, hamstrings, biceps, and shoulders. If you can, try to incorporate a demanding yoga regimen such as Bikram, Ashtanga, or Vinyasa. 3)Be Sure of Your Equipment: Many injuries occur because of faulty or poorly fitting equipment. Make sure of yours before you head out. 4)Don’t Ski or Snowboard Above Your Ability: Know your limitations and stay within them. Be sure to familiarize yourself with a trail’s expertise level before attempting it. 5)Warm Up Before Heading Out: Just before hitting the slopes, warm-up for at least 15-minutes. Do a basic version of the stretching routine you’ve been doing for the previous few weeks. Après-ski care is equally important. To begin with–and if you can–it’s a good idea to avail yourself of a hot-tub session and a full body massage. If you’ve suffered a hard fall–even one that did not require immediate medical attention–you should consult a chiropractor without delay. If you are otherwise just sore, it’s because of microscopic muscle strain and damage. In order to recover more quickly, drink plenty of fluids, but none containing alcohol or caffeine, for the first few days after returning from your trip.